JAMB CBT Past Question Software – Free Download for all Devices. Joint Admission and Matriculation Board, JAMB CBT Past Question Software for all past years is now available for free download on currentschoolnews portal. This article will guide you on details about the app, how useful it is and where to download the app for your PC or android device. Stay focus and read through. The application has over 16, 300 past jamb question and descriptive answers. 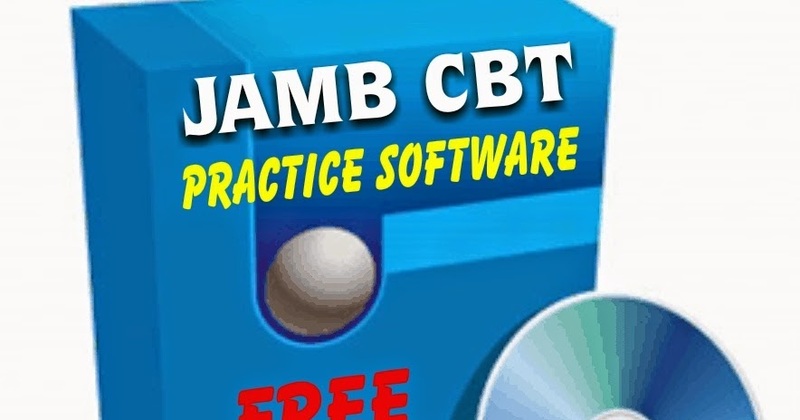 The software emulates the JAMB 2019 CBT engine. All the questions here are from Past JAMB UTME. The idea is to have you practice the same quality of questions in the same testing environment. JAMB CBT Past Questions Software is a Computer Based Testing (CBT) and learning application that enables students sitting for their JAMB Unified Tertiary Matriculation Examination (UTME) practice authentic JAMB past questions and ensure they are ready for their JAMB exam. The JAMB CBT practice software is currently available for Windows Computer Systems, such as laptops and desktop computers and Android mobile phones. You can download the free version of the JAMB CBT app by clicking the Download button below for your particular device, i.e. computer or mobile phone, to get a feel for the application and access some past questions. Over 16,300 Questions Offline – practice real past JAMB UTME questions from 15 subjects with detailed solutions. Completely Offline – Do I have to explain that? You don’t need internet access to practice on this app. Topic Selection – Choose individual topics to boost performance on areas that need improvement. Subject Selection – You get select which subjects you want to practice at anytime. See pictures below. You can choose 1, 2, 3 or your complete 4 subjects. If you’re crazy, you can practice the 15 subjects at once. Last Days At Forcados – Practice past JAMB UTME questions based on The Last Days at Forcados High School. There’s also a complete summary. Built-In Calculator – You’ll need a calculator to tackle those science subjects. It’s there. Next Generation Result Analysis – You’ll see detailed Result analysis after each test. This way you know which subjects you’re lagging behind in. Bookmarks – This is a cool feature. You can add bookmark an interesting / challenging question, and go back directly to it at anytime. Flexibility – Nothing is fixed in this CBT Software. You can the number of questions, the timing, exam mode. Anything at all. Does Not Expire – You heard that right. This software does not expire. You get to use it forever. No monthly subscription. JAMB 8 Keys For Easy Navigation – you can use the keys on the keyboard to navigate from one questions to another. Key S is for submitting. In that of JAMB you will need to press the key twice. The first press will ask you if you really want to submit while the second press is to confirm yes. Key R is for returning (or cancelling submission) after clicking Key S once. In MSGist UTME-Computer, just click the No button that pops up. Other Features of the UTME CBT Practice Software. The CBT engine is like that of JAMB with better user interface. The CBT engine can display passages, images, tables, subscripts, superscripts and special symbols both in the question and option boxes. Users get to see their scores, number of questions attempted, answering speed, time spent, among others, on beautiful charts. Results can be printed or saved. The features of this software are great, numerous and endless. Go to the download page now to have a taste of its great capabilities. JAMB Mock Exams Free | JAMB Mock Exams Scheduled for Prospective Cadidates Now FREE! « JAMB Cut off Mark 2019/2020 for all Nigerian Schools.